Continuing with the sublimation trend is this sheer and sporty look: sublimated mesh. It's a covered look that hints at something a little more revealing. And it brings a little more fun and adventure to the logo - something different than traditional embroidery! Not ready to brave the full mesh uniform? Mesh insets are another way to update a classic cheer look, giving it an instant edge! 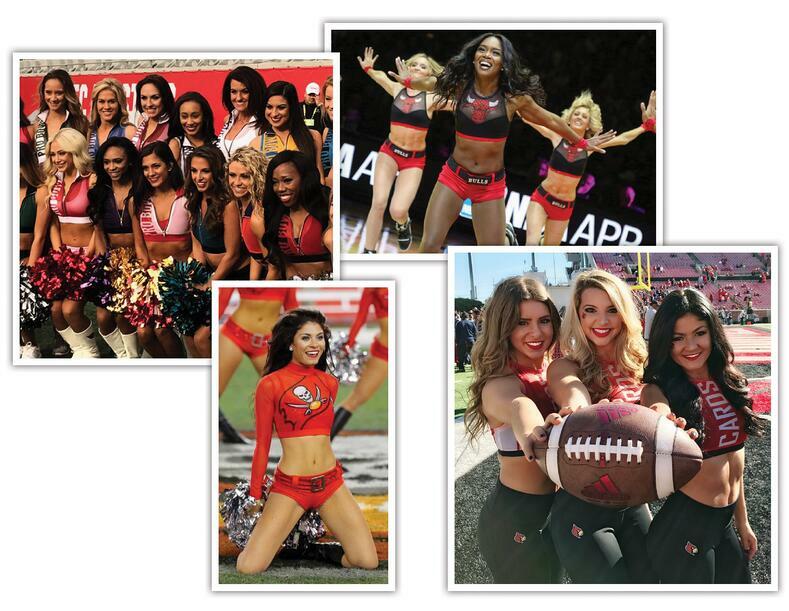 We spotted a lot of our college dance team friends at the Pro Action Dance convention last summer, and we loved seeing all the hip hop choreography pop up in our Instagram feed for gameday last fall! 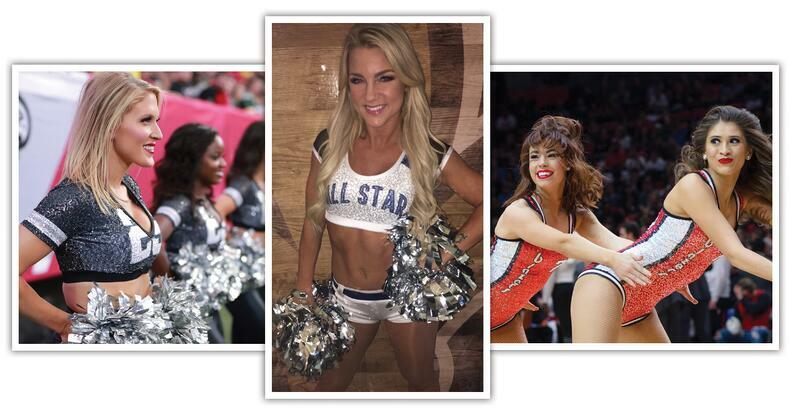 Hip hop routines on gameday poses one minor dilemma - what to wear? One great solution we saw over and over again: restyle a cheer top with warm-up or harem pants for a more appropriate look. It's a simple swap that's budget friendly, and still allows you to rep your team. 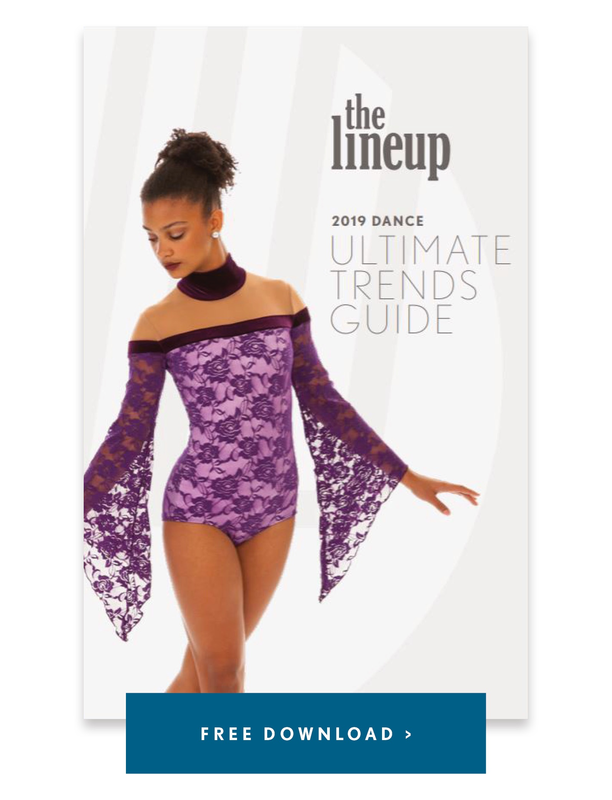 Or for a true NBA Dancer look, go all all out with an edgy mesh jersey leo, our favorite of the season! Dubbed one of springs "most pervasive trend," this is a look we know is probably sitting in your closet right now. The cold shoulder trend consists of exposed, cut out shoulders, and it's something that looks good on almost anyone. Work this look into your gameday routine with a crop that's embellished with your team logo. Logos and lettering are essential to cheer and pom uniforms, and a fresh take is oversized! Blown up, tilted, and cut off, these logos are dynamic and bold from a distance! We first saw the sparkle jersey last year, and this trend keeps going strong! These sequin encrusted jerseys are made by printing custom colors and designs onto sequin encrusted fabric called Gaga. This custom printing, called sublimation, allows for the ultimate versatility in design, logos, and colors for your team! Last year we had a feeling chokers were making a comeback, and we are excited to say they're finally trending. Instead of the velvet ribbon with dangle stone choker of my 90's middle school days, the new choker is simple and bold. A mock collar in a contrasting color is the perfect way to incorporate this look into your cheer uniform! NDSU Dance Team incorporated the choker look into their 2015-2016 custom pom uniform, and the Lisbon style rocks a similar neckline. Lace has been sneaking its way into cheer uniforms the last couple of years. Our favorite application? Charlize lace, which is covered in sequins for that all-important, must-have sparkle. 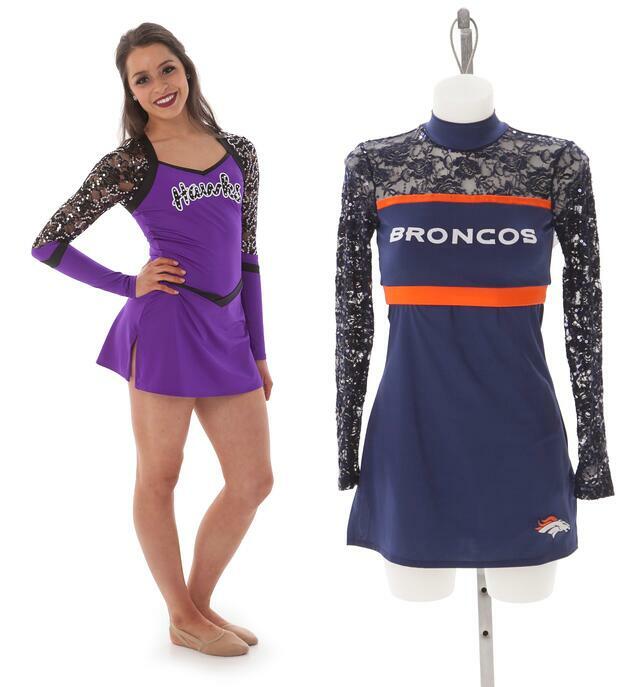 The Denver Broncos All Stars used Charlize lace in their custom cheer uniform, similar to the Regan style. Sparkle dominated at nationals this past year. Whether it was a touch of rhinestones or all-over sequin fabric, there was hardly a pom uniform without some form of bling. If you're on a budget, we recommend Zsa Zsa, the most magical and sparkle-intense option! It's sequin encrusted fabric that's also lightweight and stretchy so you can MOVE. 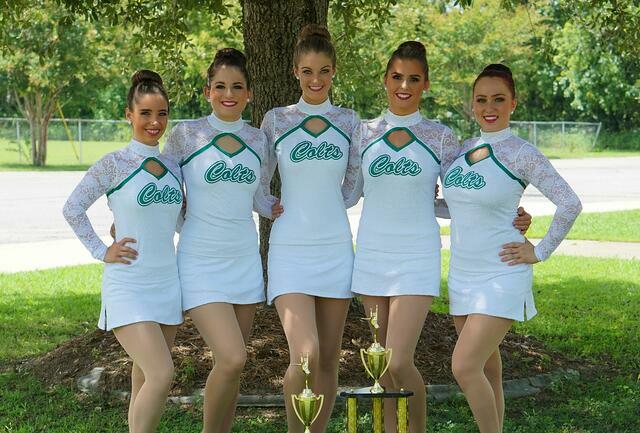 We know you've rocked pants with a crop top for gameday, but what about for your pom competition uniform? 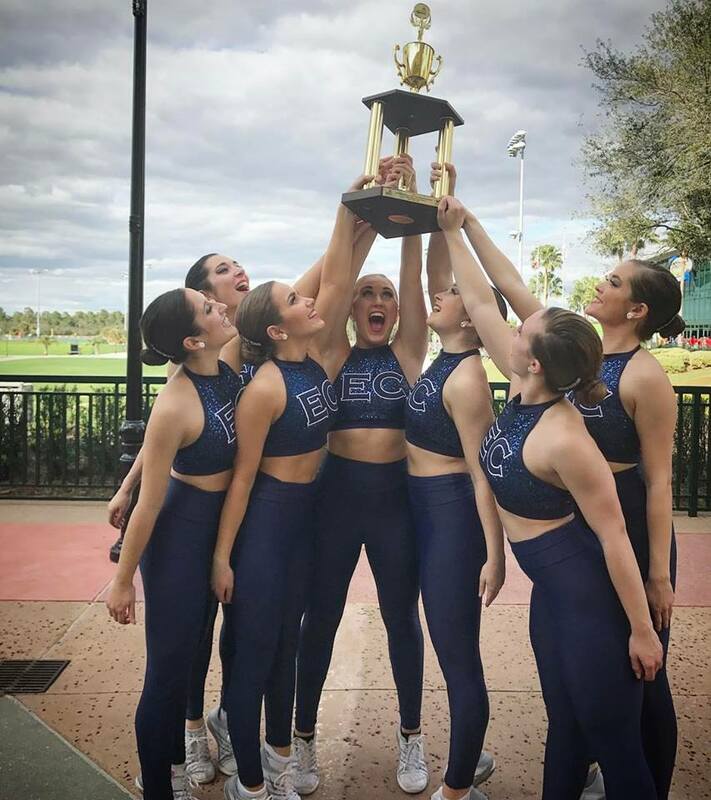 We loved Endicott Dance Team's look at UDA this year, and it's an easy way to reuse a gameday top and save with your team's wardrobe budget! We've seen many teams add instant drama with a wide, open back. It's a stunning surprise that adds an instant edge to a more classic pom or cheer uniform! Our favorite version adds a strap across the back to conceal the support you need. 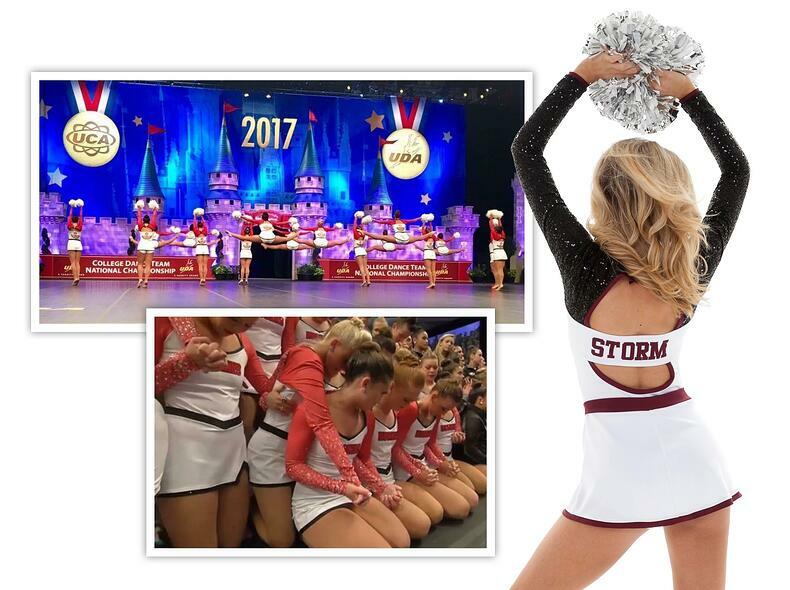 So what do you think of these trends - can you envision your team incorporating any into your new cheer uniforms this year?